Backpacks are one of those items that many of us want to feel on our backs and hips before we decide to make a purchase. Unfortunately, unforeseen circumstances don’t always make this possible and if you really need a new pack before that upcoming trip, you might not be able to wait. This is why we’ve created a useful Backpack Fitting Guide that’ll help you make the most educated decision possible on the right new pack for YOU! The Internet has revolutionized the way we shop. Most of us trust it for some products more than others though. Most of us like to try on clothes and shoes before we buy them. 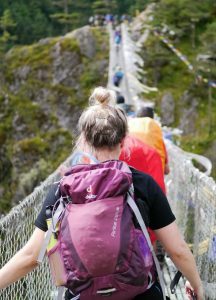 While purchasing a backpack before actually trying it on might give you a little trepidation, we’ve put together our helpful tips to make you feel more comfortable with your decision-making process. Hip comfort may well be the most important aspect of a great backpack when it comes to functionality. If you’re using it constantly and consistently, you’ll want your hips to be comfortable. Trust me! There’s nothing worse than the skin on your hips rubbing raw just two days into a seven-day backpacking trip. There are solutions, of course, but we’d like to help you avoid this issue altogether. The belt of your pack should sit right on top of your hip bones. Any lower and your hip flexors are going to tighten up in a hurry. Any higher and you’ll be a bit top-heavy and more likely to clip those branches hanging low across the trail. Just to be clear, most of us can find the top of our hip bones by starting at the belly button and working outwards. Contrary to how most of us wear our pants these days, our belt line and the tops of our hip bones are not the same! It’s also important for you to know your waist size. Grab the measuring tape out of that sewing drawer full of cobwebs or find your nearest friend with a knack for knitting and get a measurement, in inches, from your belly button all the way around your midriff back to your belly button. When shopping, most backpacks will have ideal waist size for every pack in their specifications. Contrary to the fit of frameless backpacks, the shoulder straps of your long-distance backpack, when adjusted properly, actually shouldn’t be resting on the tops of your shoulders. There should be at least a finger’s worth of space between the tops of your shoulders and your pack’s shoulder straps. Based on the length of your torso, you’ll have a good idea for the size pack you need. (See infographic to the right, courtesy of REI!) It’s also important to keep in mind that every company manufactures their backpacks slightly differently. So, if you’re close to the lower end of the Medium/Regular spectrum according to REI’s sizing guide, you might be looking at a Small/Medium pack when you search through Osprey’s website. Take the time to check into each company’s brand-specific backpack fitting guide. If you’re looking into buying a 70-liter pack, you’re going to want at least some idea of what it feels like to have a full 70-liter pack on your back. Of course, 70-liters is a measurement of space, not weight. Depending on how your pack, a 70-liter pack may weigh 35 pounds and it may weigh 50 pounds. 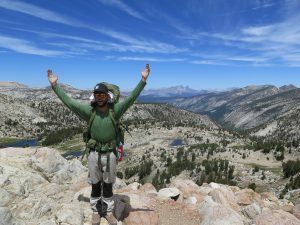 The heaviest pack I’ve ever carried was around 65 pounds while hiking the John Muir Trail. It wasn’t fun. We over packed food, and while it’s not the worst thing to have extra calories on a multi-day backpacking trip, you have to manage what you absolutely need with the wear and tear that your body can absorb. A good rule of thumb is never to carry more than 1/3 of your body weight in gear. So, take your weight, divide by three, and there you go! This is the maximum weight you want to carry. This’ll help you realize whether you’ll really need that extra 10-liters or if you’ll be alright with a slightly smaller pack. 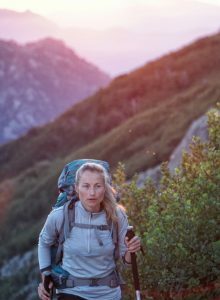 The ideal capacity of your new pack can depend on a number of factors, but the most important is the length of trips you’re planning on taking. Longer trips typically require more space for food and water, and you might decide to splurge to bring along some extra gear to keep you comfortable and entertained along your journey. Shorter trips allow you to get by on just the essentials. Just because you’ll be outside for multiple days in a row, probably not showering other than a quick dip in an icy alpine lake, doesn’t mean you need to sacrifice style in your next backpack choice. Meeting new friends on the trail is one of the best parts of multi-day backpacking trips or even day trips. Your choice of backpack could be the ideal conversation starter you need to spark a new friendship, relationship, or business partnership! How will it look on you? Well, that’s hard to say for sure. But conducting a quick Google Image search might give you an idea. Start with the word ‘wearing’ and then insert the backpack (or packs) you’re looking at. For example, a Google Image search for ‘wearing Osprey Trail 70 pack’ turns up photos of people wearing that exact pack. If this doesn’t satisfy, simply close your eyes and envision yourself turning heads on the trail on your next outing! Once you’ve done your homework, you’re as prepared as you can get to select a backpack and sit back until it arrives on your doorstep. Sit back and dream sweet dreams of all the epic adventures you’ll go on with your new carry companion. However, we’d like to introduce one more idea before you go! Knowing the refund and/or return policy for the company you’re purchasing is essential before finalizing your purchase. That said, there’s a non-zero chance that you won’t be 100% satisfied with your purchase decision. If this happens to be the case, you want to know what your options are for feeling better about the product you’re going to rely upon for, hopefully, many years to come. Fortunately, many of the best backpack brands in the outdoor industry have amazing refund and/or return policies that won’t leave you high and dry if you’re not satisfied with your new backpack. Being aware of your options before you purchase, however, is always better than begrudgingly doing the research after the product has arrived and you’re feeling unhappy. At The Backpack Guide, we’re always looking for new trails and wildernesses to explore. We’d also love to see a picture of you with your new pack! Please don’t hesitate to share your latest adventure with us on social media by tagging @thebackpackguide on Instagram and Facebook, or @backpackguide1 on Twitter! Thanks for the feedback Allan! Glad to provide some helpful info and am looking forward to the next round of reviews! I’m glad you feel inspired after reading! 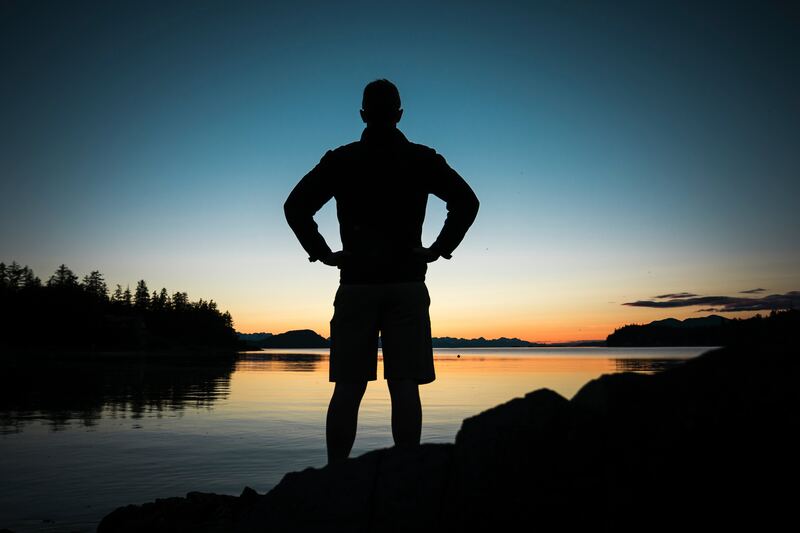 My goals are to provide accurate information and inspire more people to get out and explore! Lapland, Finland sound like a great location for the next trip! Send The Backpack Guide some pics from the road! Look good, feel good! Thanks for the feedback and I hope you stay tuned for more fun reviews in the days to come!